An model train spiral that loops infinitely by James Risner. The mesmerizing design is powered by several HO-scale locomotives, which also works in reverse. The top video shows the tracks in a closed loop while the bottom video allows the trains to enter and exit the spiral. 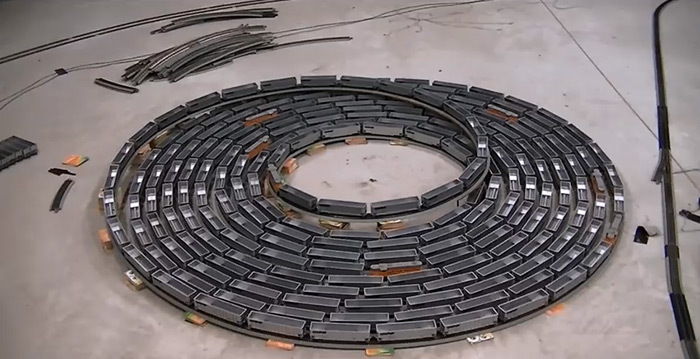 An model train spiral that loops infinitely.